The Senate proposes modest improvements to SNAP oversight, operations and administration. This includes testing the cost-effectiveness of new tools to verify household income, enhancing the ability of states to prevent dual participation in other states, allowing states to ease paperwork and office visit requirements for seniors and people with disabilities, and improving the electronic benefits transfer system (EBT). The bill also would provide increased administrative funding for tribal organizations that operate the Food Distribution Program on Indian reservations. The Senate bill would also expand the 2014 Farm Bill’s pilot program aimed at testing out new approaches to job training and other related activities. The bill would provide funding for additional states to form pilot training programs. These would include the creation of public-private partnerships, to add to a body of evidence that shows what programs are most effective at helping SNAP recipients secure jobs, leading to a reduction in the need for SNAP. This evidence-based approach is a smarter way to figure out what programs are most helpful in moving individuals towards job security rather than across-the-board work requirements proposed by the House. There is an unfortunate provision of the Senate Farm Bill that would get rid of bonuses to states for improved program participation among eligible people and strong benefit payment accuracy. These bonuses have been a good incentive for states to further improve access and program operations. The Senate’s version of the Farm Bill, as it relates to SNAP, stands in sharp contrast to the House Farm Bill, which would have taken away food assistance from 2 million people and impose a costly work requirements scheme that was both unproven and destructive. With 1 in 8 Americans relying on SNAP to keep them from going hungry, the Senate’s proposed Farm Bill takes steps to improve the program, rather than undermining it as the House bill did. 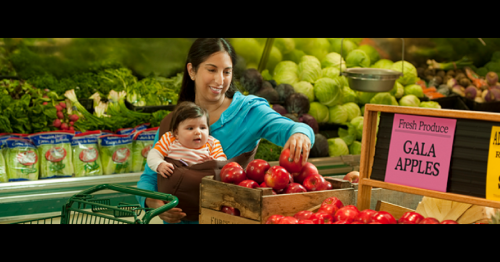 Members of the House should follow the Senate’s lead and pass a bipartisan Farm Bill that strengthens the SNAP program. Tell your representative to support the Senate version of the Farm Bill as currently written. We need to make sure harmful floor amendments that weaken SNAP do not get added in the coming weeks.